Mamie is a vintage inspired 50's length corded lace dress over a coloured lining with a tulle illusion neckline, trimmed with a narrow satin bow belt. A 3/4 length vintage style wedding dress. A beautiful bridal gown with a corded lace bodice and satin bow belt. An illusion back with delicate button detailing. 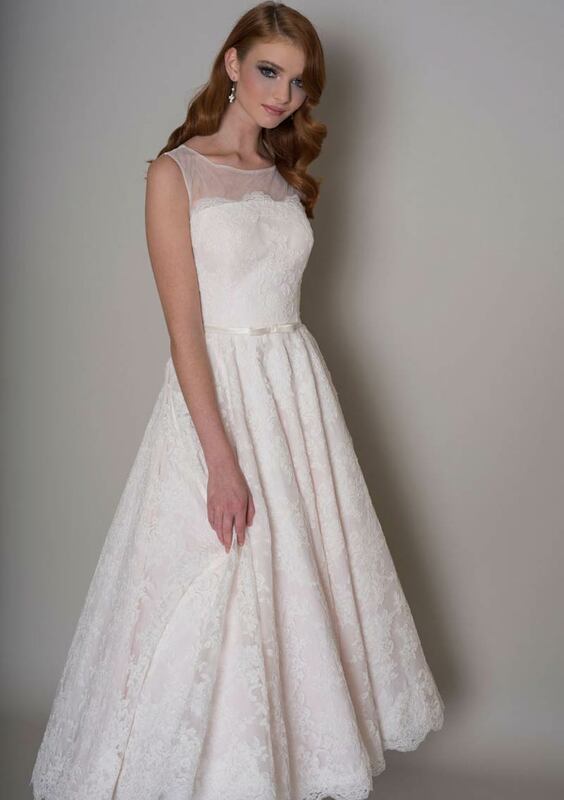 A 50's inspired lace wedding dress.